On February 20, 2018, Dudley and Smith, P.A. attorneys Chris Boline and Joseph Dudley secured a land use victory for their client, LeRoy J. Rossow, Jr., after the Minnesota Supreme Court denied Lake Elmo’s petition asking the Court to review the Court of Appeals decision in favor of Rossow. Rossow owns ten acres of land in Lake Elmo. In 2014, he proposed that the land be developed into a private, non-denominational cemetery called Halcyon Cemetery. Rossow’s modern vision for the cemetery included re-purposing the existing single-family home into an administrative building to provide room for visitors to gather before seeing a cemetery plot, an administrative office, and interactive features such as a touch-screen allowing visitors to read information about persons interred at the cemetery. That the proposed uses of the cemetery were prohibited by the relevant zoning ordinances. Lake Elmo petitioned the Minnesota Supreme Court to review the Court of Appeals’ decision, but the Supreme Court denied review. Land use cases can be challenging because courts defer to local government action in most instances. However, in those cases when the local government acts outside its lawful authority, developers have recourse through litigation. The outcome in land use cases is highly dependent upon the language in the local zoning ordinances and codes, and it is important that a developer is mindful at all planning stages of the restrictions that may apply to their project. This post was created by Chris Boline, an appellate, real estate and land use, and commercial litigation attorney at Dudley and Smith, P.A. If you have questions about appeals, real estate, land use, or the prospects of litigation, please contact Mr. Boline at 651-291-1717 or by email at cboline@dudleyandsmith.com. Dudley and Smith, P.A. 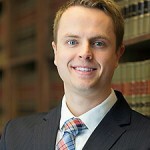 is a full service law firm with offices in St. Paul, Bloomington, Burnsville, Chanhassen, White Bear Lake, and Woodbury. The law is continually evolving and Dudley and Smith, P.A.’s blog posts should not be relied upon as legal advice, nor construed as a form of attorney-client relationship. Postings are for informational purposes and are not solicitations, legal advice, or tax advice. A viewer of Dudley and Smith, P.A.’s blog should not rely upon any information in the blog without seeking legal counsel.